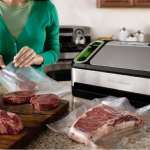 We place a great emphasis on long-term food storage, and for good reason. However, focusing on the distant future can prevent us from making the most of immediate and intermediate options as well. 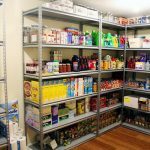 Let’s take a look at a few tips that will help you to round out your food storage system while also adding some redundancy for maximum protection. Most of us have a refrigerator, freezer and pantry. However, many of the items that are inside can not be combined to make an extensive list of meals. Consider preparing meals or stocking up on items that can keep in the refrigerator for weeks and the freezer for months. The more that you can utilize that space will give you more options in many survival situations that do not involve a prolonged power outage. In addition to leftovers, consider storing cured meats, hearty fruits and vegetables as well as soups. 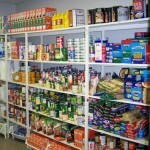 Rotate as necessary, and you will always have a stockpile of food that can last for weeks in an emergency. The same applies to frozen foods. Take prepared items such as pasta sauces, soups, stews and fresh meats and freeze them in appropriate baggies. Baggies work better than containers because they are less-expensive and they also take up far less space. You can portion them according to your needs and pull them out as necessary. The point is to use all of this available storage space to accommodate your immediate and short-term needs without relying on your long-term storage supplies. The only risk is that a power outage occurs and this food goes to waste. However, you should be able to get at least a day of meals out of a refrigerator/freezer that is in the thawing process. Preparing for medium to long-term emergencies is more of an art as opposed to a science. You know the eating habits of your family. You know what will get raided in the pantry for snacks in the middle of the night. You know what fruits and vegetables they like. 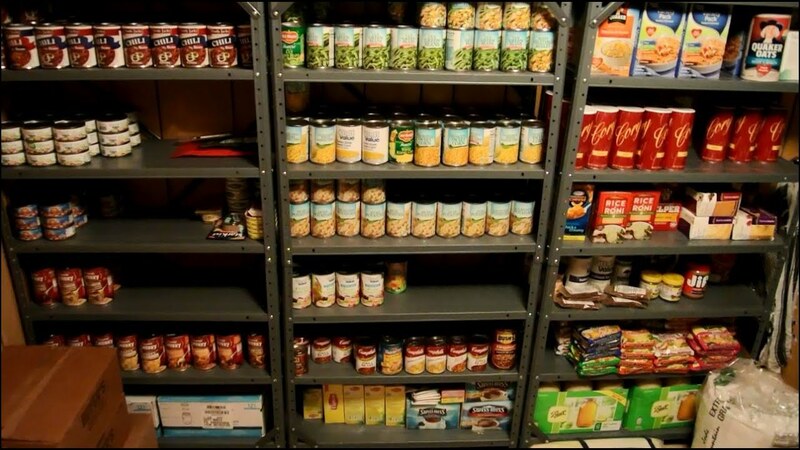 Build your pantry up with items that you will consume in the weeks following a disaster, but make sure it is full of fresh items. For example, you can keep oranges, apples, potatoes, onions, carrots, melons and other perishable items fresh for weeks if they are stored properly. 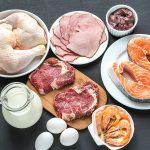 This will give you a big jump on the availability of nutrient-rich foods before you need to start digging into your stockpile. You should also be using zipper bags or airtight containers to keep opened dry-goods fresh for as long as possible. While this sounds more like normal storage practices as opposed to survival preparation, you will use these items first if you ever face a prolonged bug-in situation. Keep some water as well as powdered milk, potatoes, oatmeal and pastas in the pantry as well. This will give you quick access to foods that can last a couple of weeks before needing to pull your canned items in the basement. You should store at least two cans, boxes or jars of your favorite items at all times as well. 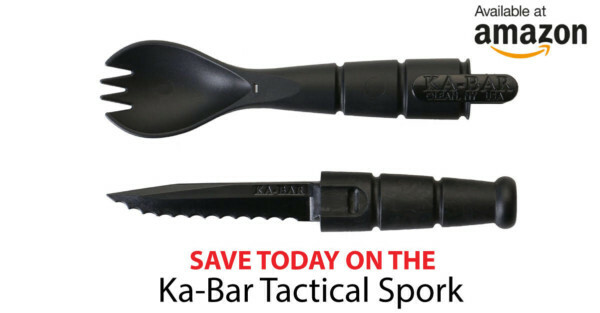 This will get you through your normal food consumption needs while giving you a backup supply before breaking into the stockpile. 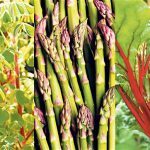 For those who have limited amounts of space, consider purchasing a food survival kit that will give you access to nutrient-rich meals if you don’t have a stockpile to fall back on. In any case, doubling or tripling up on supplies will help you to keep things stocked for longer periods of time. You will also reduce waste as well as the need to do without items that you enjoy. Finally, keep all of your food items balanced so you are getting a nutrient-rich diet on a daily basis. You don’t need to turn into a health fanatic, but it’s essential that you give the body what it needs. Since disasters or disruptions rarely come with warning, it’s better to always be prepared in advance. The best way to prepare is to have multiple-layers of food supplies that you can consume as necessary. Take a look around and optimize your overall food distribution system in the home, and evaluate your strengths and weaknesses. Make changes as necessary and ensure that you’re stocked up and ready to go. The more you can do now will make a huge difference when disaster strikes.